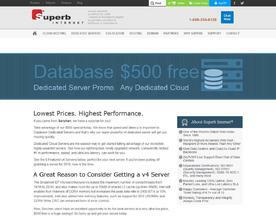 A Database Server is a service that exists on a server to make it easy for companies to store information. The information stored on a database server can vary between storing the sensitive information from their customers to storing a collection of product details and items. If you’re looking for similar online services like Database Servers, consider our Data Security or Application Server categories.